Thanks, Kelda, Chrissi, and Rich. Are you crate training her, Fran? I think I see some crates in the background. 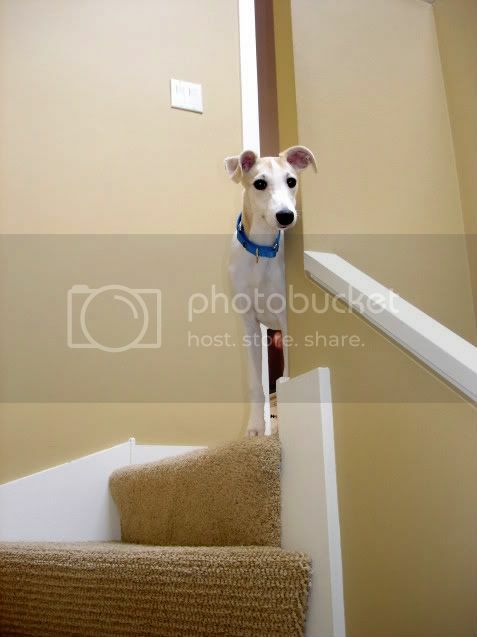 The first photo was taken at the breeder's house. 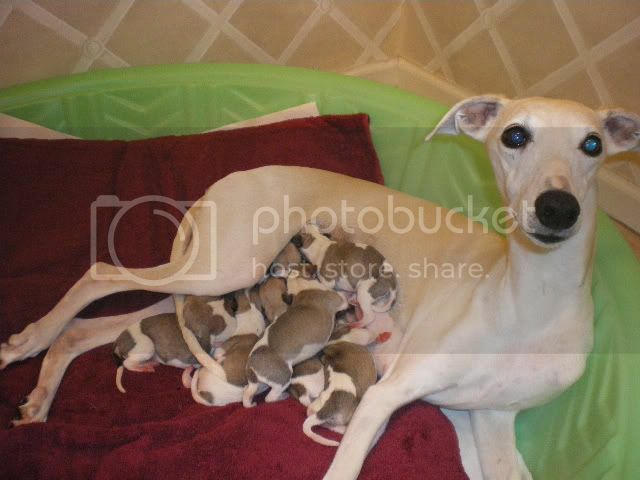 Imagine those two crates in the background filled with Ember and four other whippets with her same coloring. What a sight that was! I'm not sure how old she was in the next one. In other news, tomorrow I get to find out how much a replacement power cord costs for an Apple laptop. I'm also investing in a baby gate because not-so-little Ember is sneaky...and fast. Whoa, sorry about the power cord, Fran! I just had to buy one of those myself and I was able to get a good deal at Micro Center...$80, about half the price of an Apple power cord. I hope you can break Ember of that bad habit soon, or else she will actually BE an ember! Thank you for sharing the pictures, friend! 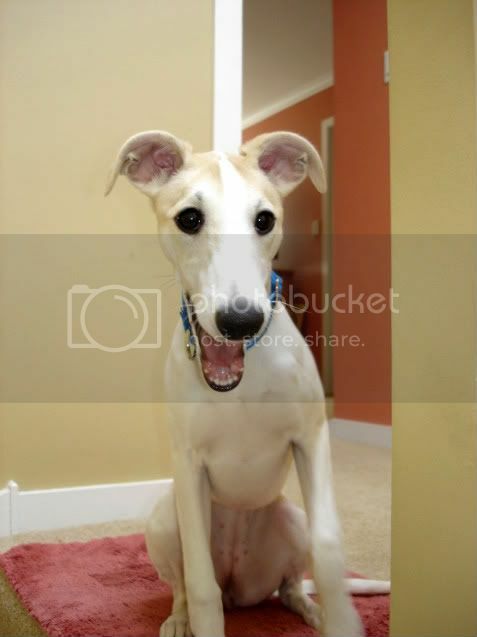 Whippets are so loveable! 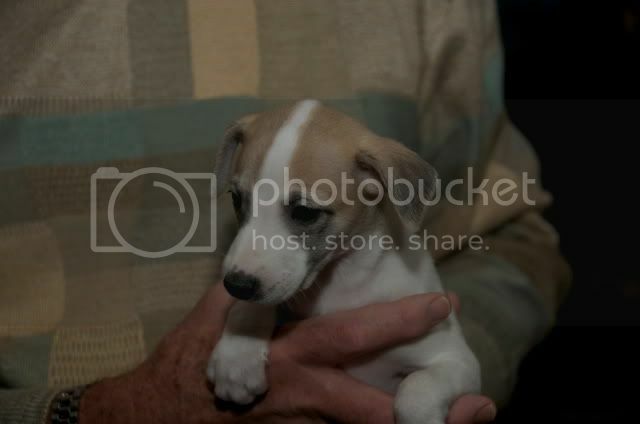 My mother has had two of them, and now she has an Italian greyhound. Coco is SO devoted to my mother and such a sweet dog. She has been very long-lived too...14 years and going strong! Yep, FRiend Lee, you sure know your prices. The replacement power cord was $80. I told my daughter that we were replacing the first one, but that's it. She's now been warned that Ember is attracted to cords and if she leaves something lying around, it's her problem, not Mom and Dad's. But in the meantime, I also picked up some Bitter Apple to hopefully make all the things Ember's not supposed to be chewing less appealing. I think I can identify Ember in that top photo. It looks like she is under the hind leg, just above another pup. 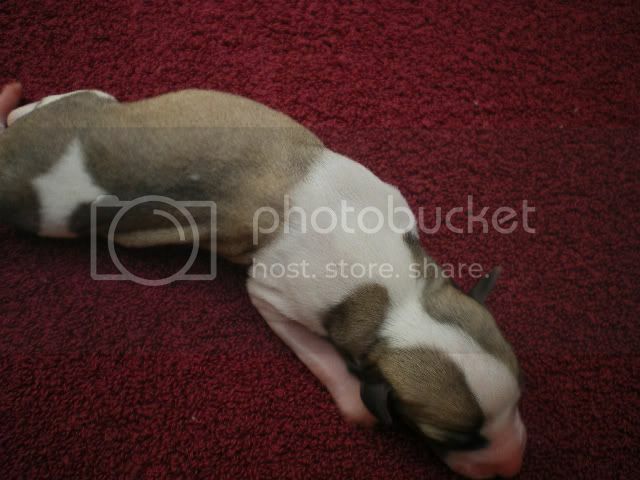 I think that is her because I can see an arrow-like marking on the puppy, just like the one she has on her fur. Hopefully she will learn to stay away from those cords! I hope the Bitter Apple helps you in her training, Fran. Or maybe she is up at the top! The puppy up at the top also looks like he/she has similar markings to Ember! David, I think your first guess is correct. And yes, that mark on her does resemble an arrow. I'm amazed at how the pigment has faded, especially around her face. Sweet picture of sweet Ember . Aww! She wants to come down and join in the fun! She probably sees that camera you are holding and wants to investigate it! She DOES have pretty teeth! And a pretty smile! She could even be in the movies!